On top of getting back to our normal routines, I look forward to implementing some additional New Years Resolutions in the form of mini goals each month. In the spirit of The Happiness Project by Gretchen Rubin, one of my sisters and I are designating themes for each month of the year. 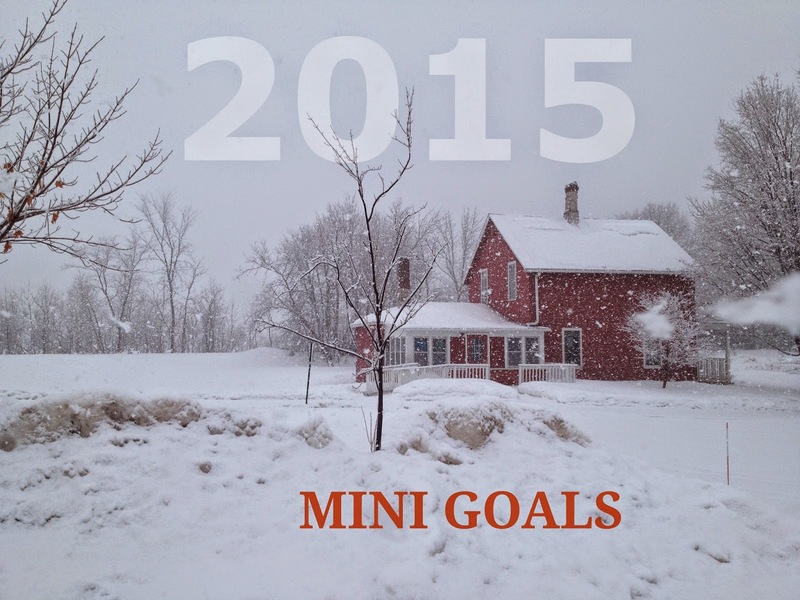 For me, each month will focus on 3 mini goals that fall under the auspices of that theme. For example, as cliche as it may sound, January is focused on health and fitness. I am using the idea of mini goals - setting simple goals that are easy to implement. If your goal is one push-up, you may end up doing 10-15 push-ups while you’re down there anyway, and then may be inspired to do some ab workouts and mountain climbers, too! If your goal is 50 push-ups each day, it may seem too lofty when you’re having a bad day, or get really busy. When you fail to keep your resolution, it’s much easier to drop the goal altogether. With mini goals, it’s easy to overcome the mental resistance that says working out will take too long or is too difficult. Anyone can get on the floor and do one push up during a commercial break! You can always do more, but never less. Read more about mini goals in this article. 5 minutes of a workout video Monday through Saturday. Some days, I may get through just the warm up. Other days I may end up completing 45 minutes. The point is, even if I don’t feel like working out, I can overcome my own objections since it’s just 5 minutes. 10 minute walks with the dog each day. This may be abridged with dangerous below-zero temperatures, but barring days where there is danger of frostbite, I’m forcing myself to enjoy some nature, get my dog some exercise, and get myself moving. Eat one serving of vegetables each day. This goal could even be too mini, as I start each day with 2 handfuls of spinach in my smoothie anyway. But besides that, it’s really easy for me to go through a whole day without touching a vegetable, though I do love to eat fruit. Time to put some special focus on new and simple ways to prepare veggies! By choosing to focus on health as part of my lifestyle instead of an impossible challenge to meet temporarily, I know I can stick with my goals without feeling overwhelmed. Making one good decision will lead to another healthy decision. I can’t wait to see if the idea of mini goals works well for me, and if it will inspire me to do more. Finally, I am thankful for the challenges and blessings God gave me in 2014, and look forward to starting 2015 with his grace. 2015 will hold a lot of adventure and changes for our family, so it’s comforting to have a God who is Everlasting to Everlasting, the same from year to year, who is with us no matter where we are.